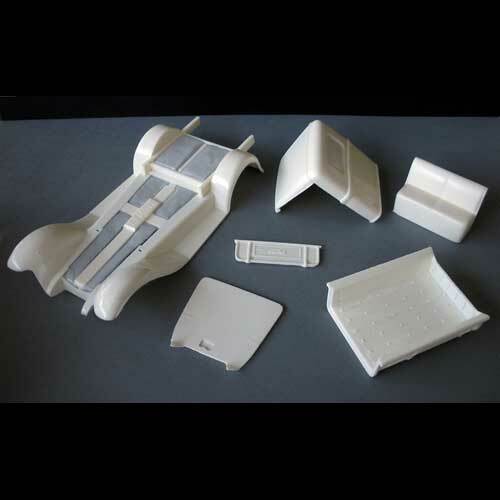 This 6-piece highly detailed kit includes a very accurate Cab (Back Half to replace the kit's sedan body), full fender set with integral bed mounting frame, Seat, Interior Floor, Tailgate, and Bed. The tailgate and bed even have engraving on the inside surfaces to represent the stampings on the real truck! These parts have been engineered to build with the donor kit.